﻿BTEQ – The first Teradata query tool. It imports and exports data and should be used when < 500,000 rows. BTEQ is an excellent report writer. FastLoad - performs Inserts into empty Teradata tables in 64K blocks. There can be NO Secondary Indexes, Triggers, Referential Integrity, or Join Indexes on the table. MultiLoad - loads to populated Teradata tables in 64K blocks. MultiLoad supports Inserts, Updates, Deletes, and Upserts. There can be NO Unique Secondary Indexes, Triggers, Referential Integrity, or Join Indexes on the table. TPump - loads into Empty or Populated Tables and is a lot like MultiLoad except TPump does all of the work at the row level and NOT the block level. It is called TPump because you can turn up or down the pump to increase or decrease the load quantities, and it allows Secondary Indexes, Referential Integrity, Triggers, or Join Indexes. FastExport – Exports data off of Teradata at the block level. It is much faster than a BTEQ Export and is used for exports when there are more than 500,000 rows exported. 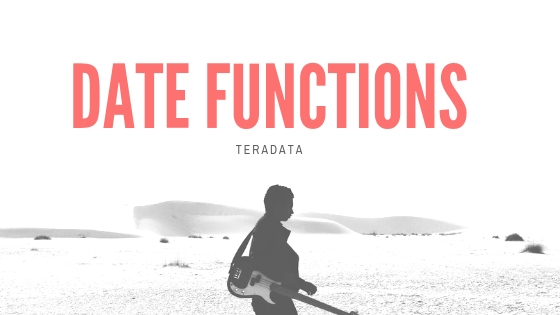 TPT – The Teradata Parallel Transport is one scripting language that combines all of the above utilities into one common utility.